The ruthless enforcer of Scotland’s most powerful clan, Jamie Campbell will use any means necessary to vanquish lawlessness and unrest among the feuding Highland clans. Seduction is a game as easily played as subterfuge, but when Jamie poses a as suitor to a rival clan’s daughter in order to expose treason, the line between duty and pleasure is suddenly blurred. 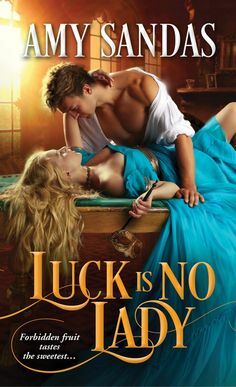 Ebony-haired, ruby-lipped Caitrina Lamont defies him, denies him, and arouses him like no other woman.Caitrina has no intention of forsaking her beloved father and doting brothers for a husband–especially a hated Campbell. But Jamie’s raw, sensual strength and searing kiss melt her resistance. When her idyllic world is shattered, Caitrina’s only hope to save her clan lies in the arms of Jamie Campbell, the enemy she holds accountable for its ruin. Can their tenuous truce, born in the velvet darkness of passionate nights, forge a love as strong as the sword that rules the Highlands?From the Paperback edition. In Highland Warrior, Jamie Campbell is a enforcer of justice, and is wanting to know the location of Alistair of the MacGregor clan that are outlaws, and knows that since the Lamont Clan had close ties to the MacGregor clan, he plans on finding where Alisdair is being hidden. So he plans on wooing the sweet Caitrina who mesmerizes his body and soul. He finds himself drawn to her like a moth to a flame. He knows that even though there is a ulterior motive to him courting Caitrina, after tasting her sweet kisses, he knows that there is a connection between them that can’t be denied. Caitrina Lamont has three brothers and a father that she loves dearly, and she knows that she doesn’t want to settle down and marry. 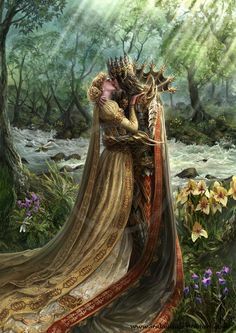 She is content until she meets the compelling highland warrior that entices her with tender embraces and a passion she finds within in that she didn’t know existed. But her hopes come crashing down when her beautiful serene world falls apart and loses all of her family and her clan driven out, she knows Jamie’s cousin is responsible, but will their feelings toward one another be strong enough to endure the coming challenges? I truly loved this and had it read in a couple of hours, since I just read it non stop, without stopping. The pages flew by so fast since I was so entranced into this beautiful love story. I truly loved Caitrina and Jamie. Jamie fights for justice and hunts down outlaws, however all that he is and believes in will be challenged after he connects with his one true love. Caitrina, after losing her family and almost being killed herself, never suspected to see Jamie again. However when he proposes marriage to her in return he will help her rebuild her clan, she knows she has a duty to her people. But this arrangement hold many surprises that will teach this handsome couple the meaning and importance of loving and trusting amidst a dangerous world. I have loved reading from this author, she writes such compelling scottish romances that touch the soul. You will never be disappointed with Monica McCarty.